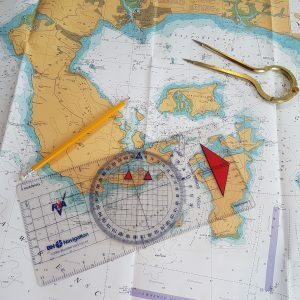 The 5 day RYA Day Skipper Theory shore based course provides a useful introduction to Chart work, Collision Regulations, Lights & Shapes, Meteorology, Pilotage and more. Spend a relaxed five days in our spacious classroom with one of our friendly instructors who will guide you through all you need before you get out there and start skippering. GPS Navigation is covered, as well as working up estimated positions and dead reckoning. Safety procedures and anchoring are also covered, and these are very useful topics to cover in a classroom with no wind and waves disturbing you!